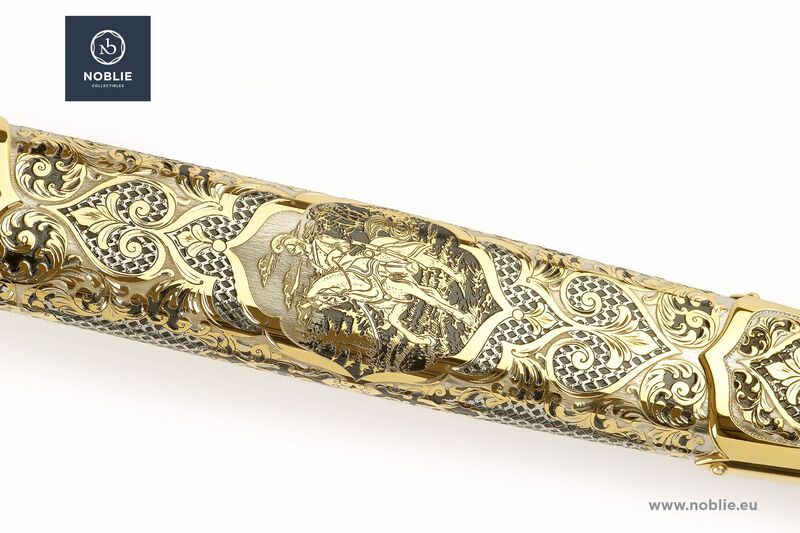 Produced by traditional methods of metalwork and decoration: etching, polishing, engraving, nickel plating, gold plating, silver plating, silver blackening. Blade of stainless steel 440C with double fuller. Shaped and decorated in traditional Caucasian style. Ornamental adornment on the both sides. 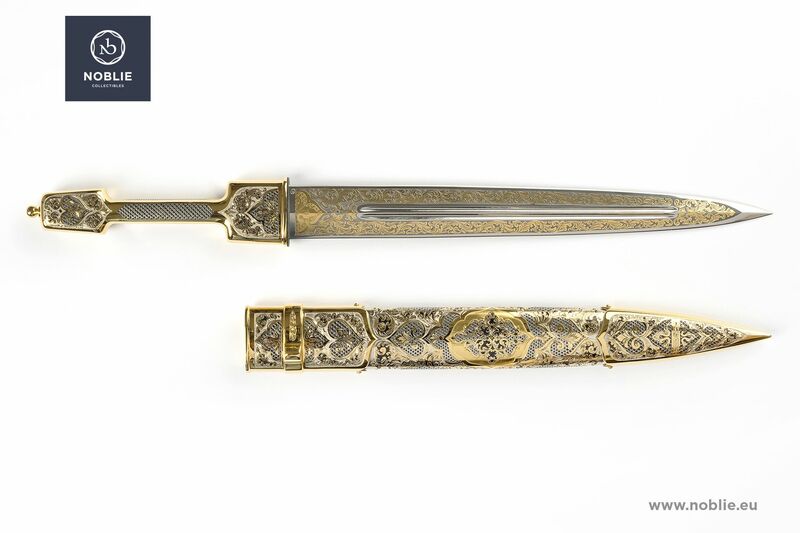 The handle is made all-metal made of gilded brass, with square shaped guard and decorative pommel. The sheath is all-metal forged, made of brass, with fine decorated chapel and locket. Depicted with picture of hussar on the left side. Rich adorned with ornaments on the both sides. Additional decoration by: etching, polishing, engraving, nickel plating, gold plating, silver plating, silver blackening, inlaying. 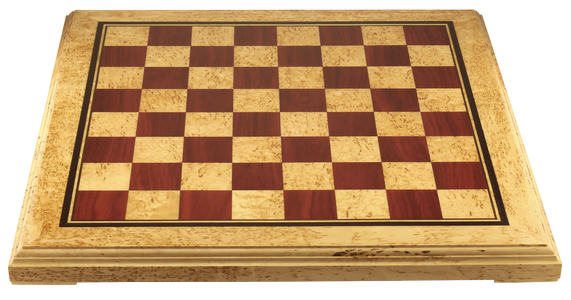 Handmade wooden luxury box. Two pairs of demonstrative gloves in the set. When you click on PURCHASE button, you are sending an order for the chosen item. Our customer service will give you feedback with confirmation of availability on stock, possibility the item to be delivered to your country and the price of shipment. We will issue invoice for payment or we will give you link for card bank transfer on our site. For additional information or any concerns, please contact our manager. 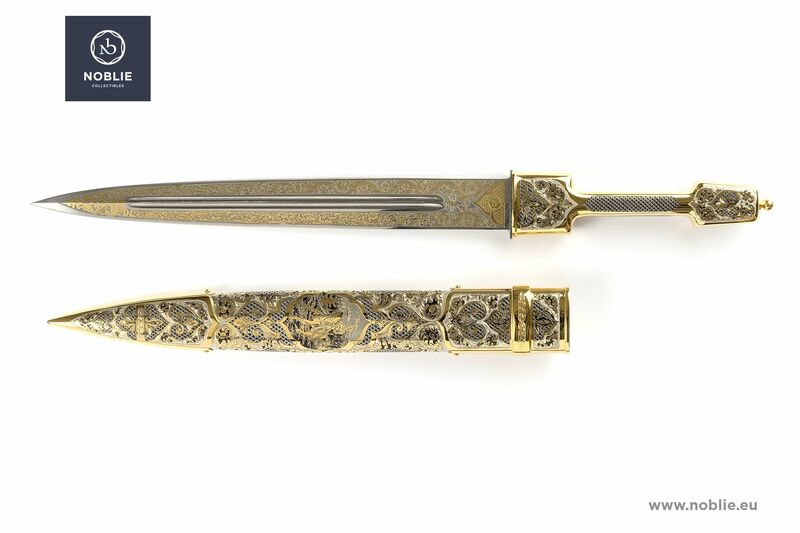 Our company produces a large amount of handmade custom art knives, daggers, dirks, swords and other cold weapons and luxury gifts.